These websites are excellent resources on Carmelite life and learnings. The history of Carmelite Communities Associated’s Charter of Life began as early as 1971 in Richfield, Ohio where the association had its first meeting after organizing in 1970. This meeting centered on the Teresian Charism. Each community was asked to dwell on a particular aspect of he charism and to present its reflections to the assembly. Thus, the seed for an articulation of our experience was sown. Learn more about the Carmelite Communities Association. At the edge of Kirkintilloch in view of the Campsie fells, we enjoy the beauty of natural surroundings, celebrate and cherish God’s creation while being close to and part of the local community. We want our Monastery to be a place of peace and prayer for those who come to us to share in our worship or for some quiet and reflection in our prayer room. Learn more about Carmel Glasgow. The Order of Discalced Carmelites recognize Santa Teresa as a mother and founder. Unlike other institutes, it is the only order that has for a woman founder and is the only one where the female branch preceded that of men. As we have just said it is written in the Constitutions, that define us: “An order which combines ancient loyalty to the spiritual tradition of Carmel with permanent renewal aspiration”. Tradition and renewal are two attitudes related to the Discalced Carmelites by the mother and founder of St. Teresa. ICS Publications, based in Washington, D.C., is the publishing house of the Institute of Carmelite Studies (ICS) and a ministry of the Discalced Carmelite Friars of the Washington Province (U.S.A.). The Institute of Carmelite Studies promotes research and publication in the field of Carmelite spirituality, especially about Carmelite saints and related topics. The institute’s members are friars of the Washington Province.Order from ICS Publications. Jennifer Sokel’s Carmelite-inspired coloring books and greeting cards are a product of her lifelong love of art. Through her work, she desires to see children grow in their relationship with God as they color and read and encouraging others to share their love with friends and family through her special greeting cards. Visit her store here. The Carmelite Institute is a collaborative effort of the Carmelites of the United States and Canada. Its mission is to promote the following of Jesus Christ through studies in the Carmelite tradition and by making the tradition available to our Carmelite brothers and sisters, as well as to all those interested in a spiritual life. The website of the Carmelite Institute of North America is a place to find and contribute to the contemporary interpretation of Carmelite spirituality, and to find inspiration for the journey toward intimacy with God in prayer. 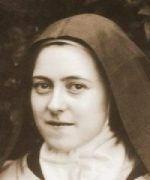 The Archives of Saint Therese of the Child Jesus contain everything you need to find out more about Therese, allowing you to look deeper into her work and the genesis of her thinking. As you will discover, the young Carmelite of Lisieux had the genius to make use of the texts, documents, images and objects of her time. Living with them and nourishing herself with them, she transformed them and was able to create a written work that is valuable for all periods and times. By presenting you with all of these treasures, we move from conservation to conversation.